Ready to leverage your virtual infrastructure to manage your wired and wireless network-but worried about compromising? Worry no more. 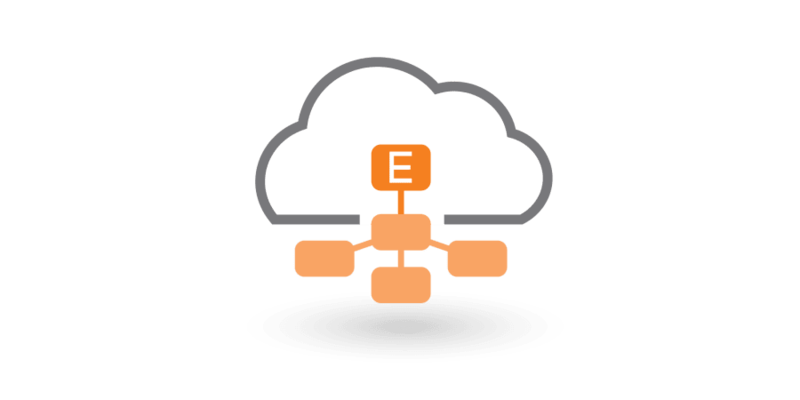 Virtual SmartZone - Essentials (vSZ-E) gives you loads of flexibility, lower deployment cost and the ability to scale your network right up to 60,000 clients. Want more control over the end-user experience? We've got you covered. 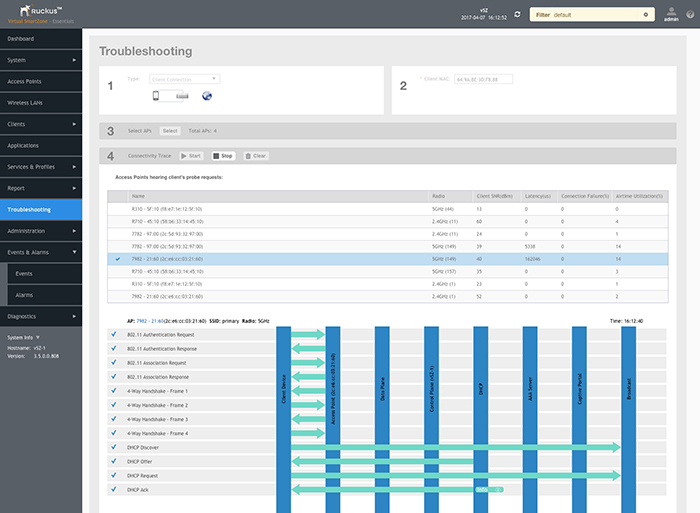 Manage quality of experience with intuitive, visual troubleshooting and analytics tools. 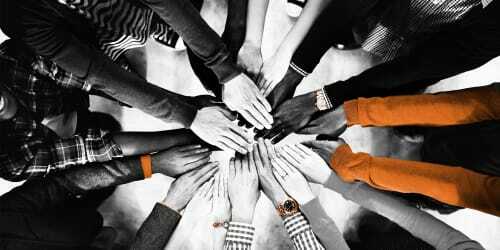 Together with Ruckus access points and switches you get scale, control and deployment flexibility and your users get a consistently great experience—fast, reliable and secure. 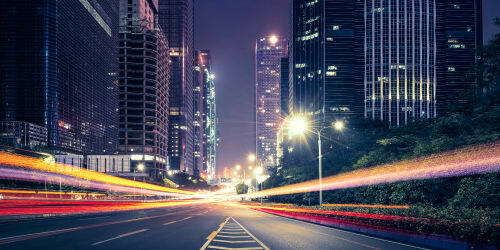 A virtualized network puts CAPEX where it’s needed most, while making your network more flexible. A single low-cost license and a commodity x86 server with any popular hypervisor is all that's needed for a vSZ-E instance. A single cluster scales to 60K clients, 3,000 APs and 50 switches. Active/Active 3+1 clustering eliminates idle controller capacity and data loss during redundant failover, while minimizing configuration time when nodes are added. The vSZ-E centralizes LAN and WLAN management and flexibly integrates with the Virtual SmartZone – Data Plane (vSZ-D) or external WLAN gateways to accommodate complex data plane routing topologies. 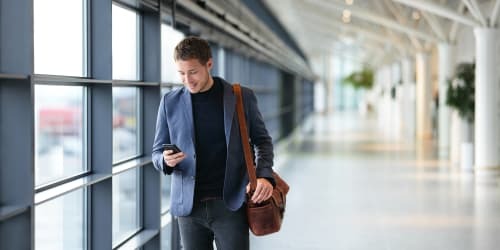 IT can offload WLAN and connectivity services such as DHCP/NAT to the AP or vSZ-D to reduce expenses for separate routers and servers. The vSZ-E simplifies workflows and gives IT the tools to ensure a better end-user experience. 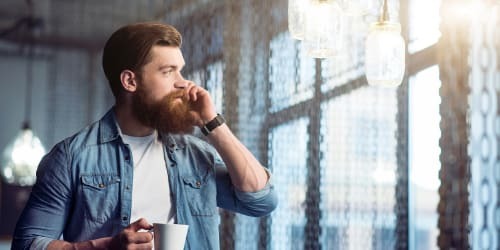 Visual Connection Diagnostics lets IT troubleshoot client connection problems in real-time, helping to pinpoint the stage at which the failure occurs. 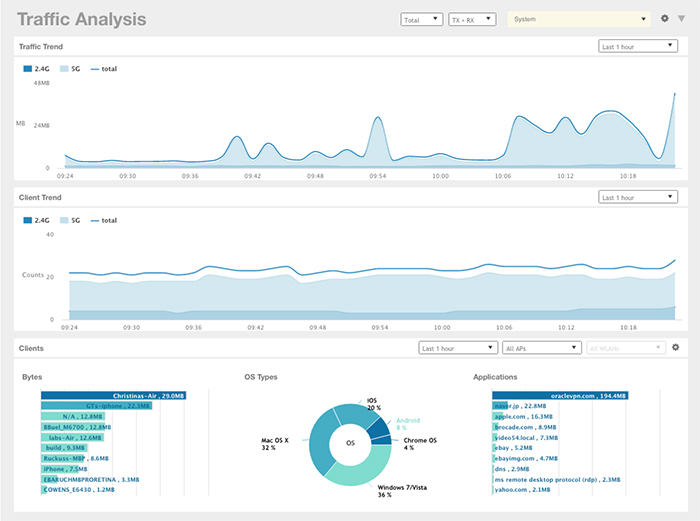 Ruckus “super-KPIs” enable IT to more quickly detect and react to potential user experience degradation. SmartZone streaming APIs push in near real-time the full array of Ruckus network data, statistics and alarms to IT’s preferred analytics tool with no fidelity loss and no need to create a firewall pinhole. 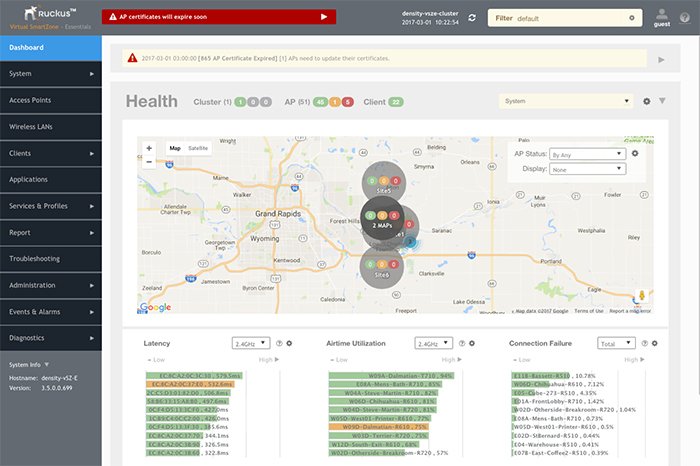 Easily monitor networks with a customizable interface and view topology maps, network element health, cluster health, traffic analysis, spectrum analysis and more. Ruckus is known for exceptional Wi-Fi performance even under the most challenging network conditions. This means exceptionally happy users. Read this independent report showing how Ruckus APs outperform all other 802.11ac wireless APs. 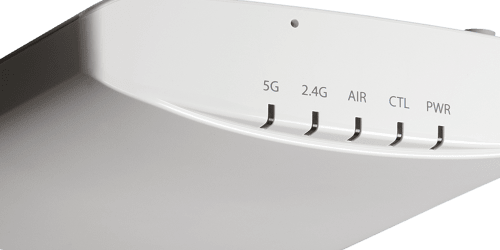 Learn more about how Ruckus BeamFlex adaptive antenna technology creates optimal antenna patterns for each device for better signal quality. Read how Ruckus ChannelFly technology dynamically switches a client to a better channel to mitigate interference. The vSZ-E makes possible an all-virtual branch campus deployment on commodity hardware supporting up to 3,000 APs and 150 switches, minimizing CAPEX and maximizing server reuse and flexibility. Virtual SmartZone (vSZ-E and vSZ-D) is a “network-in-a-box,” enabling IT to easily and cost-effectively deploy and scale a high-performance LAN and WLAN, with no requirement for additional stand-alone elements. Visual Connection Diagnostics speeds and simplifies troubleshooting and client problem resolution while unique “super-KPIs” enable IT to more quickly detect and react to potential user experience degradation. Easily create and enforce content polices to protect users from accessing inappropriate websites using URL Filtering. Optional Ruckus Cloudpath integration lets IT to create rich location-, device- and user-based policy rules, enabling network segmentation based on real security and policy needs rather than a one-size-fits-all approach. Store up to 30 days of network configuration and client data on internal storage drives. L3 and L2 auto-discovery of APs and switches reduces manual administration. 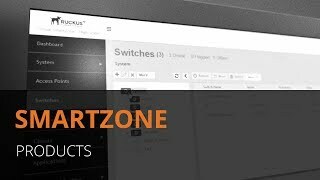 The SmartZone OS advanced feature set includes rogue AP detection and mitigation, adaptive band balancing, load balancing, airtime fairness, hotspot and guest services, capacity-based admission control, and more.